The word is meme so it should be about me :)! Allowing students to explore their inner self by utilizing an emotional sympathizing software that perpetuates a journey of self discovery. It uses facial recognition software (Affectiva) to detect emotions. 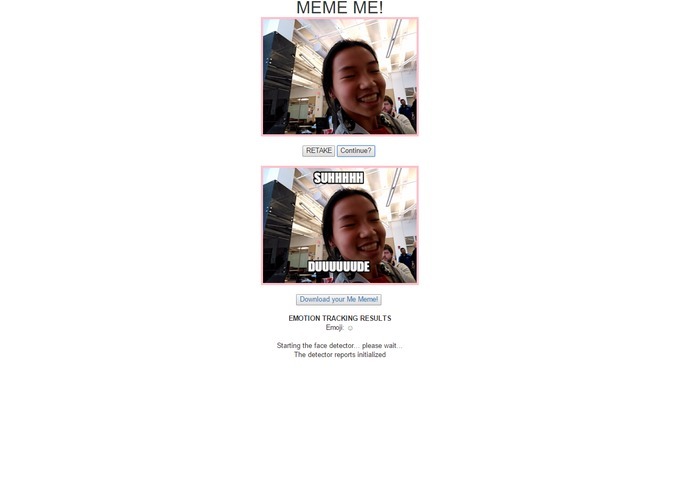 Using that information, the Meme Me! generates a unique meme with you-- unlike any others out there. What's next for Meme Me! The project is now live at https://megancui.github.io/ !